I don't know people who live and work with legends manage to behave because every time I meet a living legend? O la la! Today I had the honour of interviewing King Sunny Ade on my radio show. Sometimes when things like this happen, you are like, 'meeeeeee?'. But I couldn't panic nor over think it. KSA was driving in. 'Wawu'. O my. Where do I start? First KSA is so polished. I don't think they teach that kind of charm in school. Smiley, courteous and gracious. I had to remind myself the man sitting opposite me, so soft spoken, was 70!!! He took our flight of stairs like it was nothing. It's not surprising for a man who grew up playing football and now plays golf, chess, lacrosse and more. Speaking of football, he says he loves and supports the Eagles but wouldn't tell us what club he supports. I tried to get him to say, 'Manchester United'. There's a 'Sunny on Sunday' concert coming up where he will not only perform with other talented stars like Onyeka Onwenu, Darey and Omawumi, but he will also auction of one of his guitars. I asked how many guitars he has. 'Not up to a hundred'. He will also be the first Nigerian artiste to be inducted into Hard Rock Cafe's Rock Hall of Fame. Is there a difference between playing at a concert and playing at a wedding? 'Big Difference', he replied. For the former, all eyes are on you and it's just you trying to entertain the crowd. (Methinks the money spraying would also be a big difference o. Ah). He 'sprayed' me with prayers. I feel so blessed!!! 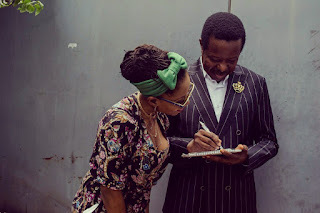 I asked what his favourite song from his own body of work is and even though he loooooves all his songs, he has a soft spot for the first song he ever recorded, 'Alaanu ni Oluwa'. Looking forward to him singing that song live on the 11th of December. Which brings me to, o my! Whatever shall I wear????????? 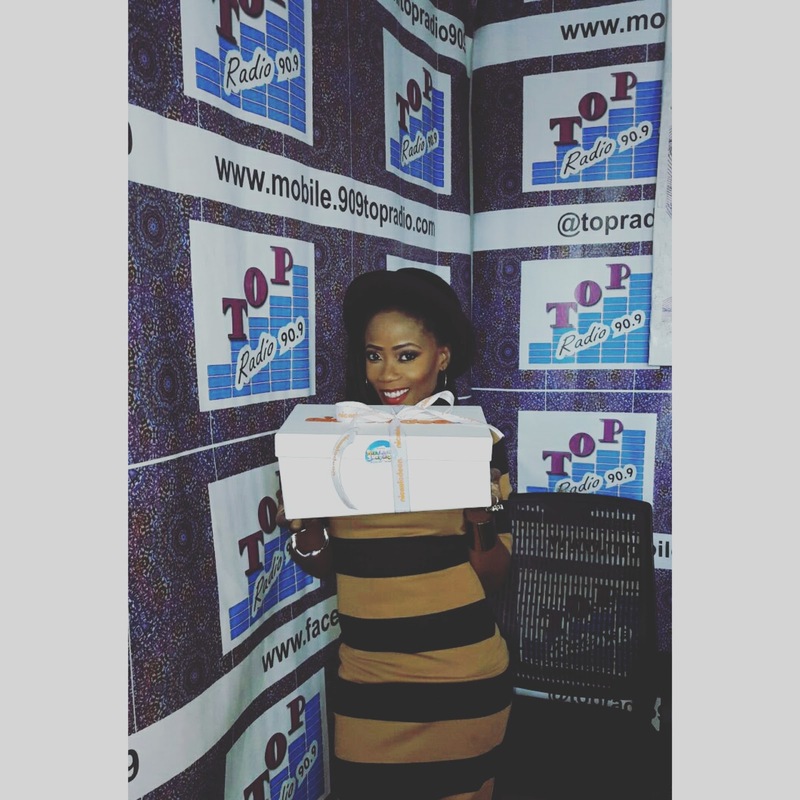 Guess who stormed Tosyn Bucknor's show ( #TopoftheMorning)?! Mavin's new signing bounced into the studio with his entourage. 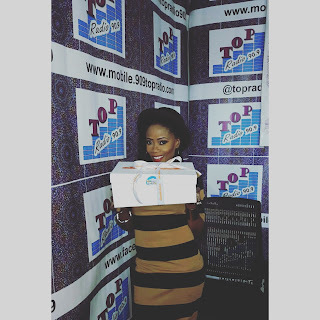 He even took over Tosyn's snapchat o! 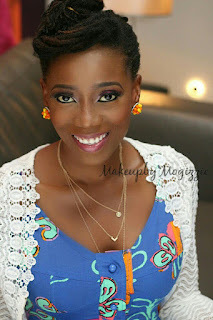 After playing his new song, 'Up To Something' featuring Don Jazzy and Dr. Sid, Tosyn challenged Iyanya to do impressions of Pete Edochie, Falz, Kanye and Don Jazzy. On his move to MAVINS, he said it's the best decision he's ever made. 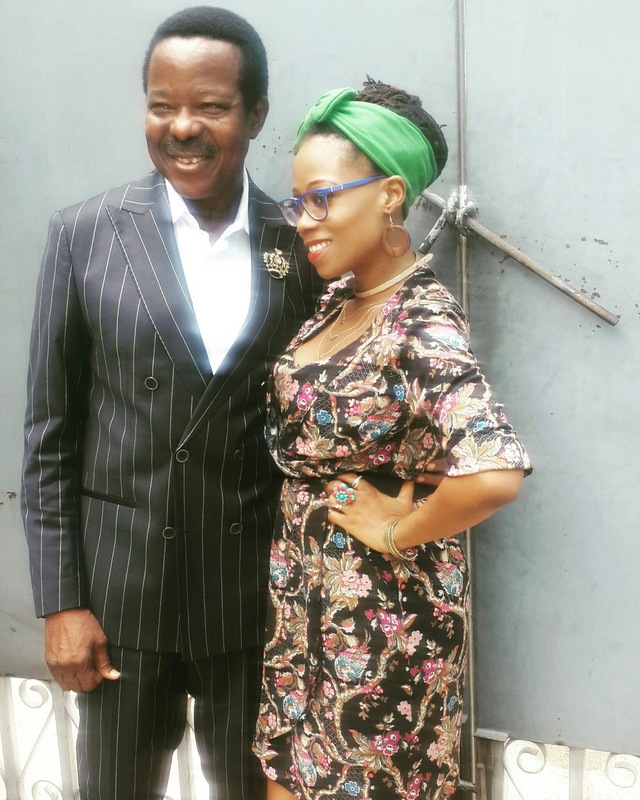 He explained that it all started after he recorded 'GIFT' with Don Jazzy. According to him, there's no bad blood whatsoever with Ubi Franklin and MMMG. Right now, he's listening to Sia, Bryson Tiller, Tori Lanez on his ipod. When we gave him dumbbells to lift (someone actually had to heave to lift them) Iyanya lifted them with his fingers!!! Just two fingers! He called them "baby bells"!!! Cheiiii!!!! He pointed out that you never stop paying your dues, no matter how old you are in the business. On why his shirts always seem to be unbuttoned on stage, he repeated that it was because of the heat and light. When it was time for the proverb challenge, he was clueless for the first 3 minutes trying to rack his brain for an Efik proverb. Finally he got one, we think. To top it all up, he brought along a biiiiig cake!!!!!. Yaaay Iyanya, thank you! Those are lines from a song, ‘Heritage’, by CON.tra.diction and they ring in my ear regularly. Everything i am, i can seem to link to one parent or the other. And if all else fails, i dig up a grandpa. It works out when i am having a good day- i can thank genetics for getting some things right. But on days when i feel less than perfect, i also feel helpless. Thanks to genetics, i can’t reach certain heights (literally) and have to watch what goes to my hips (thanks grandma). I once studied criminology in university and was so fascinated by the theories of crime out there, that i based my final year project on the Nature .v. Nurture debate. Are criminals born or made? That was my question and the project tried to answer it by digging up various theories and studies. For example, i found a study of twins separated at birth who still ended up living almost similar lives. Infact, there was one set of twins, girls, who ended up marrying men working in similar fields. And on the day they showed up to meet each other for the first time, dressed alike. But is nature truly to blame for everything? And should it get credit for the good we do? I saw an old picture of my dad; his column in a newspaper. I realise that just like him, i sing and write. And like my mum, i do a lot of business. Would i be a writer if i was born into another home? Was it innate, or was it just watching him work that inspired me? Truth is, i grew up with a musician as a dad; the writer i met through pictures and history.. Then there is that energy my sister and i seem to have. Meet my dad and you may wonder where it comes from. He is a very calm, jovial easy going fellow. Meet my mum, and then you’ll see energy! She still wakes up before i do and goes to bed after me and seems to be everywhere, taking care of every issue, at the same time. Nurture theorists beg to differ. According to them, we are not what we were born with, but what we were developed to be. It is the things we watch, or things that are said to us that shape us. So if you take a child from a good home and you raise him with criminals, he will grow up to be a criminal while his siblings will be pillars of society (as we like to say here). Think about it. If the nature theorists win the debate, that means you can only be as good as the genes you were born with. No point trying to be a leader if you were born into a family destined to follow. No need trying to hide in the corner if you were born a natural exhibitionist. Don’t bother trying to learn to play the guitar, your genes scream ‘medicine’, and hey, your hairline WILL recede. Your grandfather is to blame. I battle with those thoughts constantly. And figure when nature treats me good, i will let it run its’ course. But when it comes to things i don’t want, i will give nature a run for its money. So, the kids and family channel on Dstv 305, Nickelodeon, has a pleasant surprise for Nigerian kids. 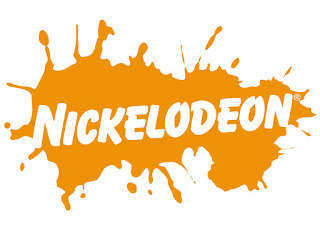 In partnership with Domino's Pizza and Cold Stone Creamery, Nickelodeon is offering four kids every month the chance to win an awesome birthday surprise. How to win? All kids have to do is take part in a monthly competition and they could be selected alongside friends and family to join in the surprise birthday party. Aside from the party, Nickelodeon and Domino's will also give winners a special gift. The surprise parties will take place at selected Domino's Pizza and Cold Stone creamery outlets in Nigeria, with lots and lots of fun. To participate in the competition, click here to fill the registration form on the Nickelodeon website. Winners will be contacted, every month. "We are very excited to be rewarding Nigerian kids with this fun birthday activation in partnership with Domino's Pizza and Cold Stone Creamery. Nigeria is one of our largest markets for Nickelodeon and this is our own way of giving back to Nickelodeon fans for their loyalty to the channel. "Every birthday party will definitely be an unforgettable experience for Nigerian families and we can't wait to kick off!" 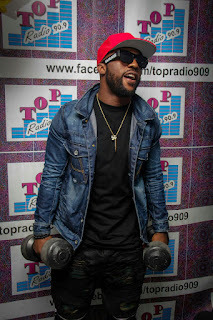 The biggest story during the week was Iyanya signing with the Mavins. We caught up with him and had a chat about that in this video which also features a chat with the CEO of My Extensionz, where i got my nails and more done.